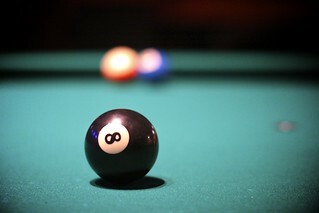 behind the eight ball. You may also want to look at on cue. This photo is Creative Commons Attribution. You are welcome to use it with "photo by Ed Schipul" below the use. A link back to this image is appreciated but not required. Thanks!